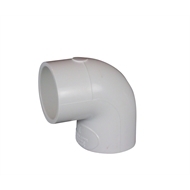 This PVC 90° elbow joins two pieces of the same size pressure pipe at an angle of 90°. It can be used to re-direct the pipeline and to assist in turning corners. 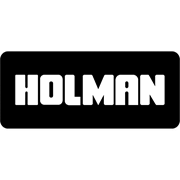 Holman PVC pipes and fittings provide the peace of mind that comes with Holman Industries' Watermark Certificate of Conformity - Level 1 for pressure applications, since February 2011.